M318NVU was a Talbot Express 290 4×4 L4P. This appliance was fitted out by a company called Bedwas. It was first registered on 19/09/99, had a 2.5litre turbo diesel engine. 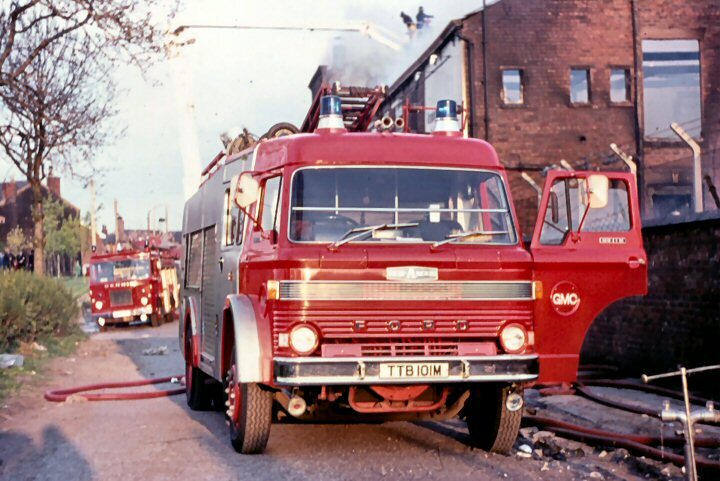 This appliance was originally based at B21 Bolton North but at some point was replaced by its sister M319NVU and as M318NVU was transferred to C32 Heywood Fire Station as the Water Incident Unit which would mean it pulled a boat on a trailer. This appliance was also sometimes required to pull a lighting unit trailer. The trailer was a small trailer fitted with a light mast and had 4x light fittings. This appliance was with a 100galon tank, 2x lengths of 6inch suction hose, a short triple extension ladder, stand pipe key and bar. Ramsbottom had a Ford D D1616 Water Escape which had HCB Angus bodywork. TTB101M seen here whilst on the run from A12 Agecroft Fire Station, Ford D1616 TTB101M was ordered by Lancashire but delivered directly to GMC.